Taking cues from Moscow’s urban identity, Asketik Studio applies a contrasting palette and industrial materials to a pint-sized take-away coffee joint. 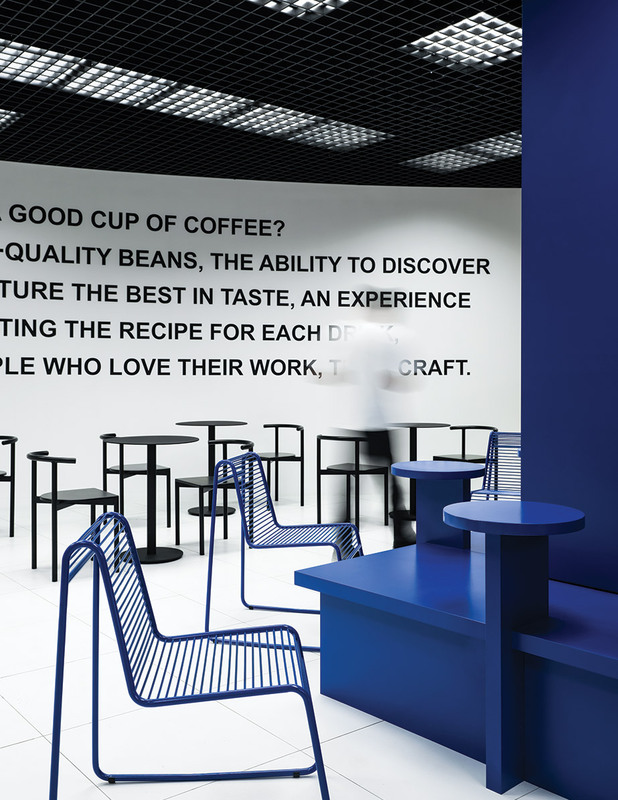 Deliberately void of any superfluous details, the Bloom-N-Brew coffee shop in Moscow’s commercial district is a study in well-appointed simplicity. 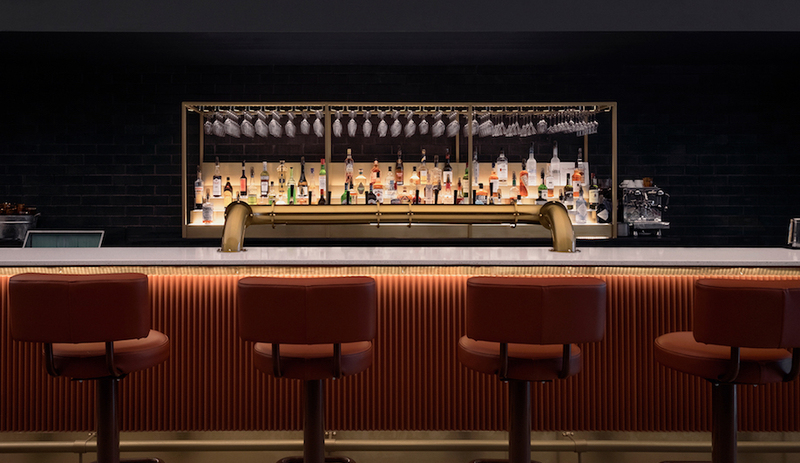 The austere yet inviting space was designed by Asketik Studio, a local firm that had already worked with the roaster on a previous location in a former silkworm factory. 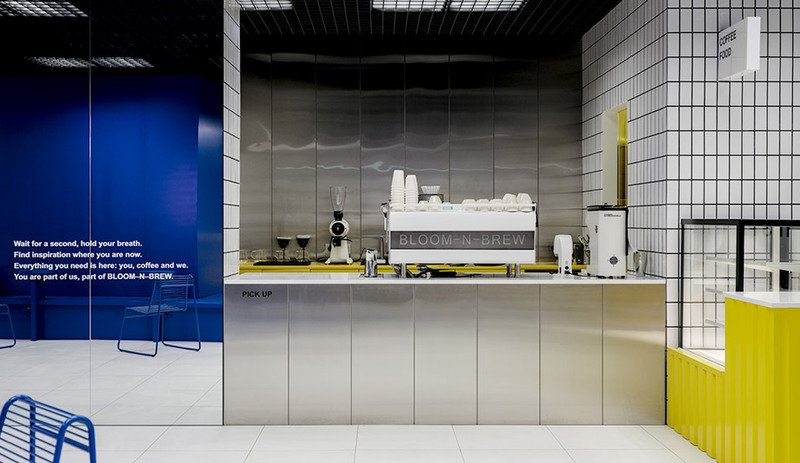 Interior and product designer and Asketik founder Maxim Maximov describes his firm’s approach as “nothing decorative, just form for function” and this methodology is evident at both Bloom-N-Brew venues. In the former factory, exposed brick and ductwork were coated with crisp white to simultaneously highlight the space’s previous life while providing a clean backdrop for its new incarnation as popular coffee spot. 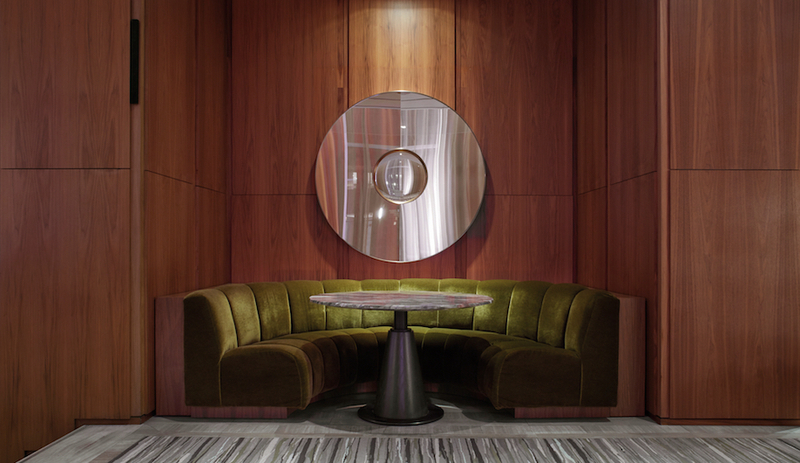 For this second outpost, situated on the basement level of a central skyscraper, Maximov and his partner, Alexandra Siniagova, used the urban surroundings as a jumping off point for the interiors. 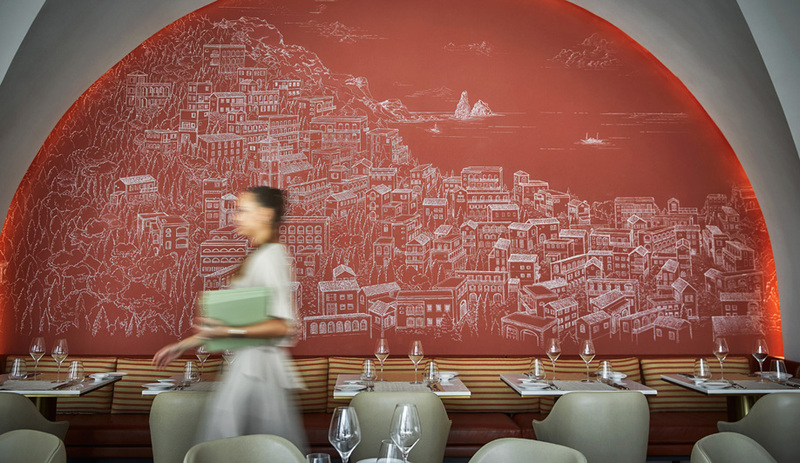 The 82-square-metre, U-shaped space has a strong graphic appeal, which was kept focused through a limited use of colour. 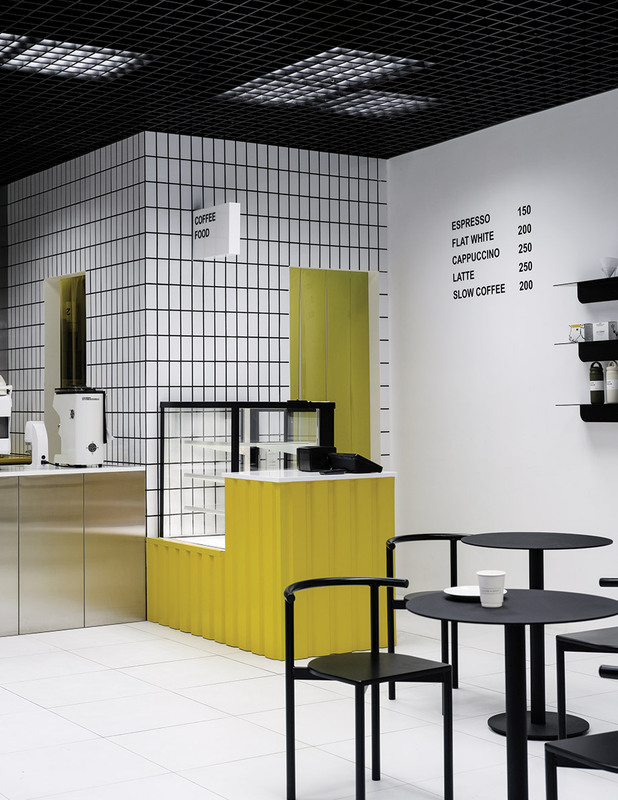 As in the first shop, white forms the envelope through pristine walls and 60-by-60-centimetre ceramic floor tiles with whisper-thin grout lines. Energetic colour was introduced through a collection of furniture in shades of canary yellow, cobalt blue and jet black. 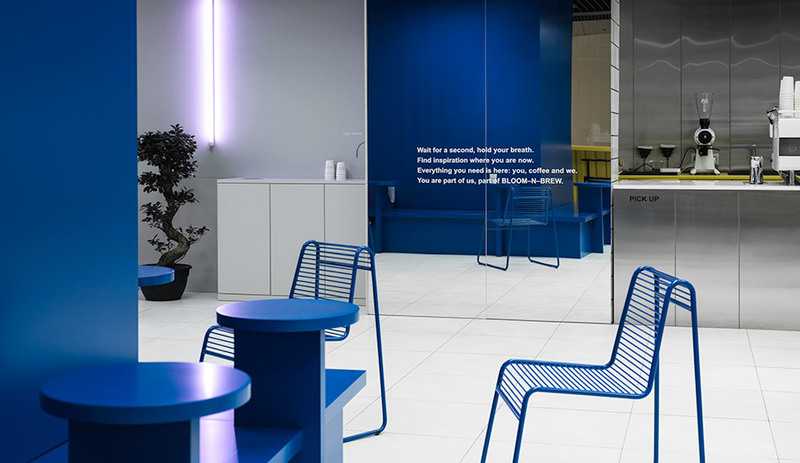 All made from powder-coated aluminum, the chairs and tables (by St. Petersburg-based Delo Design) and built-in benching with integrated tables (by Asketik) offer seating for up to 20 (the shop is primarily for take-away service) and inject both colour and rounded shapes to the environment. 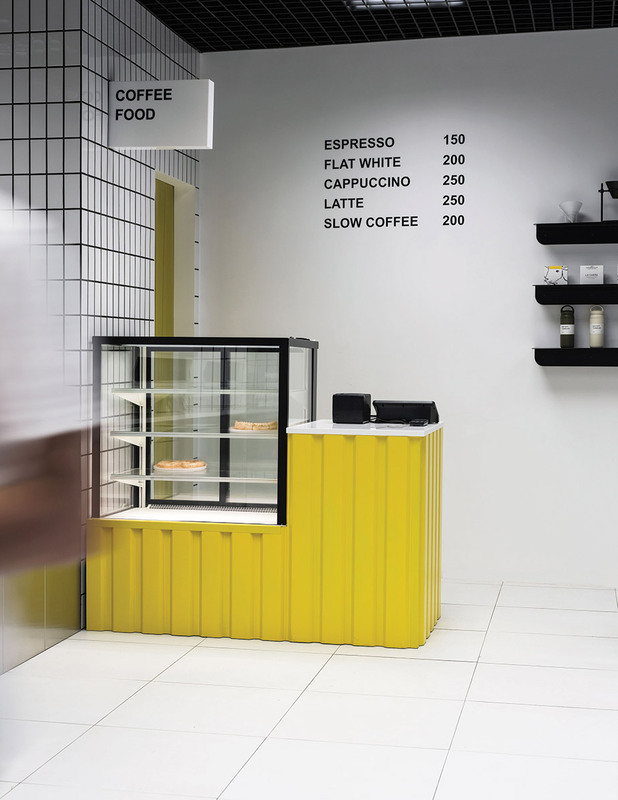 Directly referencing the surroundings, the service area is clad in vertically oriented tiles and one-millimetre stainless steel panels, and bright yellow corrugated steel wraps the pastry counter. All of these materials were popular during the Soviet-era and have been preserved on many buildings, according to Maximov. 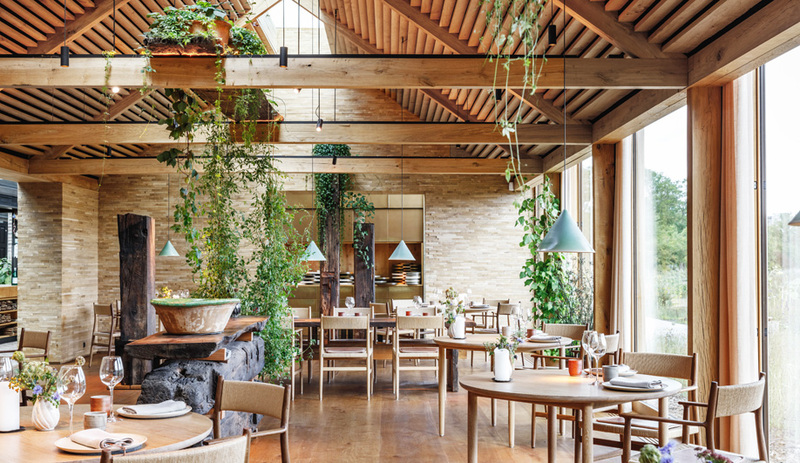 The “grigliato” or open-cell ceiling, a requirement of its location, lends itself to the strong lines throughout and is fitted with basic square LED panels. 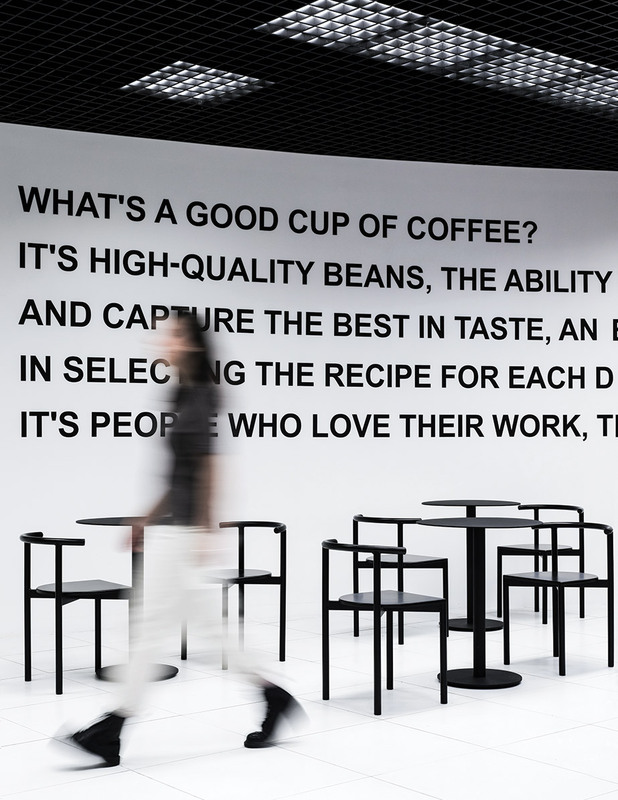 Adorning one wall, a simple sans-serif typeface spells out the coffee brand’s philosophy, which emphasizes quality, experience and a love of the barista craft. 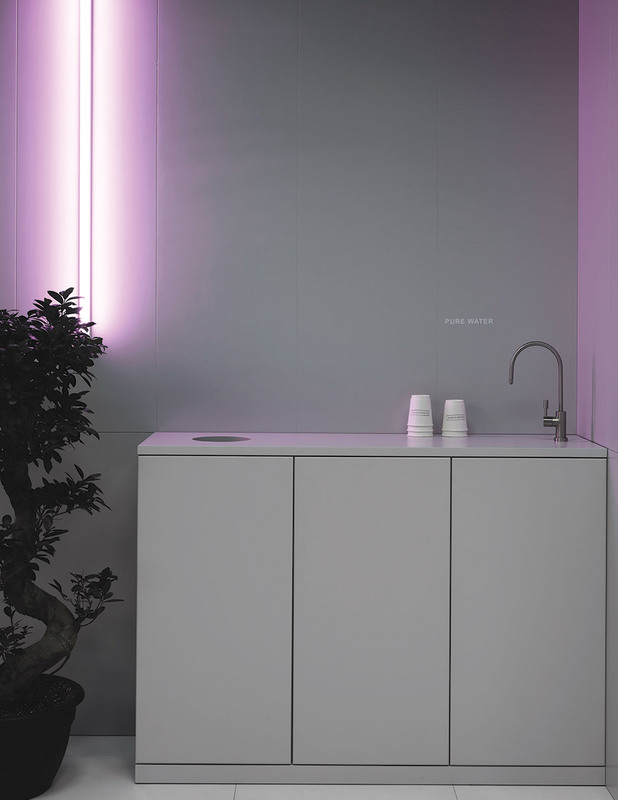 These principles are clearly in line with the hard-working ethos of Asketik Studio.